Ogun State College of Health Technology, Ilese-Ijebu [OSCOHTECHILESE] National Diploma [Full-Time] Admission List for 2018/2019 Academic Session. This is to inform all National Diploma, ND applicants of the the Ogun State College of Health Technology, Ilese-Ijebu that the list of candidates offered provisional admission list for 2018/2019 academic session has been released. 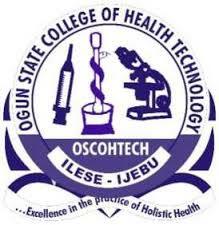 OSCOHTECH Ilese-Ijebu First and Second Batch Admission list has been released and uploaded online. Click on the Login Button to access OSCOHTECH Admission List.